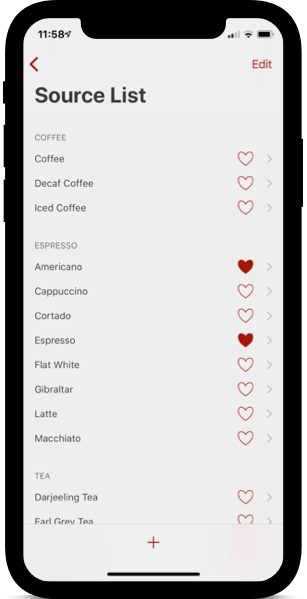 Many apps record caffeine, but most never learn about you and your habits. 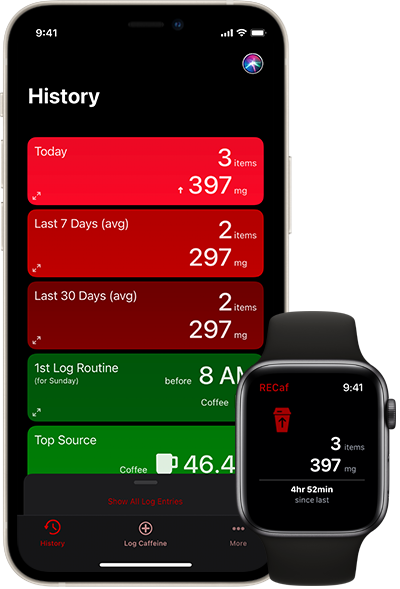 What if your caffeine tracker were smarter? 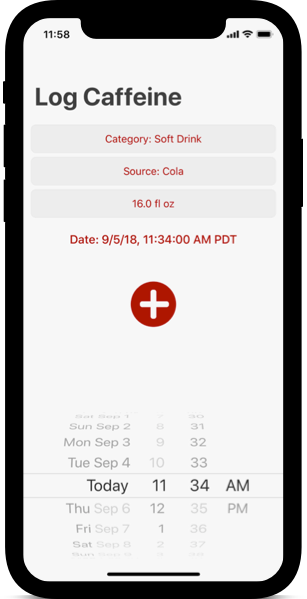 Take all the hassle out of recording your caffeine data. Sign up for our email list to get updates on what's coming for RECaf. Log custom items at specified times with just a few taps. 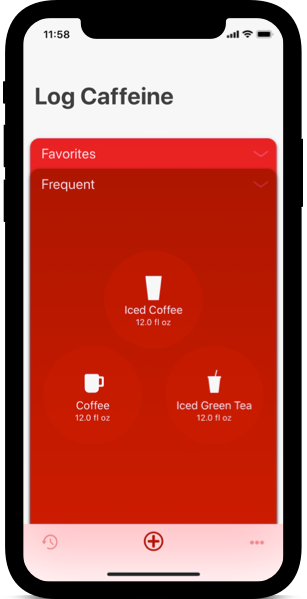 Log frequent items with one tap from the Frequent tab. 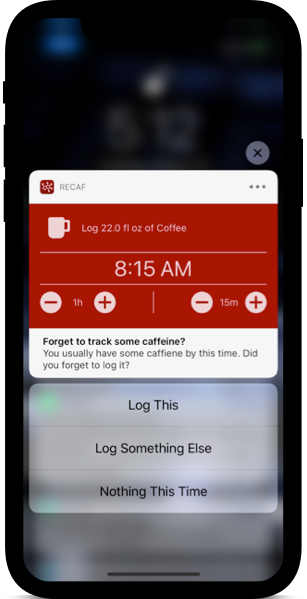 Log directly from helpful reminder notifications. Fully customize the Source List to fit your needs. 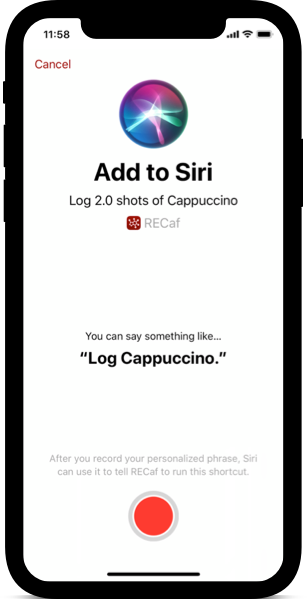 Log with your voice, so you don't even have to open the app. 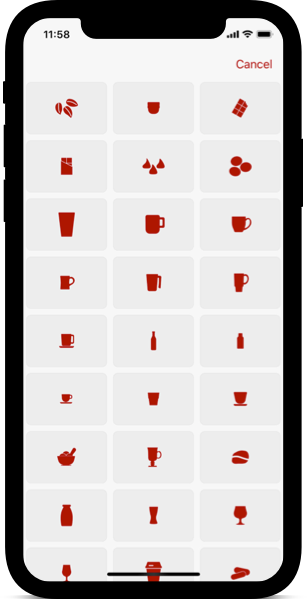 Track any caffeine source — it&apos;s not just about coffee.